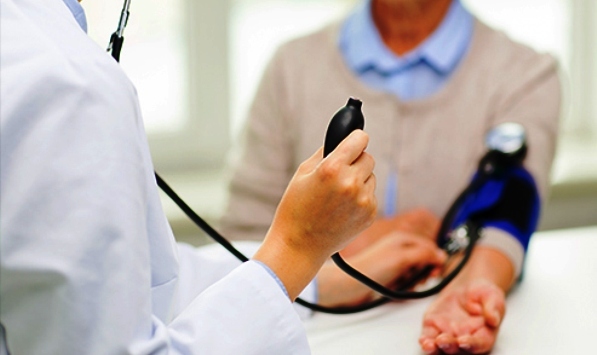 Home Health Notes Why Does You Doctor Do What He Does When Examining You? Why Does You Doctor Do What He Does When Examining You? This is when your doctor finds out what's going with you - he or she talks with you about preventing diseases and any new things you're feeling, and helps you manage health issues you know you have. He or she taps, rubs, pokes, and prods you. He or she comes at you with strange-looking instruments. What's your doctor trying to learn when he / she does some of those things? It's called an otoscope, and your doctor uses it to get a better view, especially if you have trouble hearing or your ear hurts. After all, it's tight quarters in there. And dark, too. With it, your doctor can see an irritated eardrum, a swollen ear canal, fluid that's a sign of infection, extra wax that may be causing trouble, and other problems. He may also be able to tell if you have pressure issues by using it to send a little puff of air into the canal. This can tell your doctor quite a bit about your health. For example, a white spot or growth on your tongue can be a sign of a condition that might become cancer - more common in people who use tobacco. She'll also look at the back of your throat and your tonsils, and get an idea of the condition of your teeth - and your breath. Your doctor looks at your abdomen - the shape, the skin, the way it moves when you breathe - to make sure everything is OK. He may also listen with a stethoscope to hear if your bowel is making different sounds because of an illness. And he'll push on your belly. Called palpation, this gentle, hands-on exam checks for areas that are too firm, tender, or bigger than they should be. Your doctor does it to see if your pupils - the dark center of each eye that control how much light gets in - get smaller (constrict) when light is on them. They should stay round, and both eyes should react to the light in about the same way. If any of these things are off, it may be a sign of problem. This test also can show changes in your eyes that might be a sign of high blood pressure, diabetes, or glaucoma. He listens to make sure your heart has a regular rhythm - no skipped beat or murmur, a “whooshing” sound. He'll also listen to your lungs to see if your breathing is clear. And if you have asthma, he'll make sure he doesn't hear wheezing. And why that stethoscope is always freezing is anyone's guess. When the doctor or nurse wraps a cuff around your arm and tightens it, it's to measure the force on your veins and arteries as your heart pumps blood. 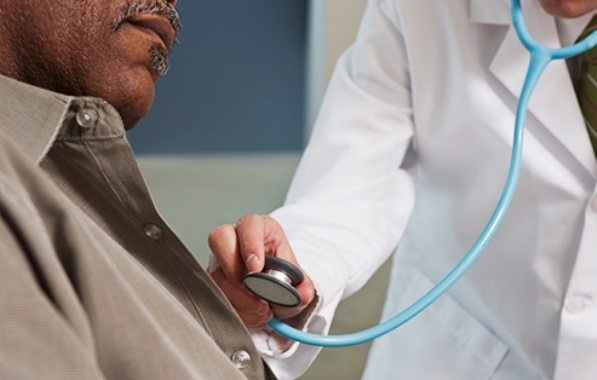 It's important to check because there are often no other symptoms - that's why high blood pressure is sometimes called “the silent killer.” Managing your blood pressure is key to lowering your chance of a heart attack, stroke, or heart failure. If your doctor uses his hand to feel your scrotum - the sack of skin that holds your testicles - as you cough, he's looking for signs of something called an inguinal hernia. When you tense your belly muscles, that can sometimes send a piece of your bowel or intestine through the abdominal wall and into your scrotum. It's usually not serious, but it may need treatment - and it can be a sign of other problems. Why the head turn? That's so you don't cough in your doctor's face. Your doctor can use your height, weight, and waist measurements to figure out your BMI, or body mass index - an estimate of body fat. It's a way to keep track of whether you've lost or gained weight since your last visit. A higher BMI means a higher chance of having heart disease, high blood pressure, type 2 diabetes, gallstones, certain cancers, and other conditions. This is the best way to check for conditions that don't cause any symptoms early on, like high cholesterol, diabetes, or kidney, liver, or thyroid disease. If your doctor finds any problems, you can start treatment and possibly prevent serious damage. Does your doctor simply get a kick out of hitting you in the knee with a tiny hammer? Well, maybe, but that's not why she does it. It's to test your reflexes. If all is well, your knee will automatically make a small kicking motion when your doctor hits it in just the right spot. It's called "percussion", and it's like tapping the side of a barrel to see how much liquid is in it. In the same way, your lungs can sound different when you're sick. It often sounds empty in people who have emphysema, and it can sound dull if you have fluid in your lungs from a condition like cancer or heart failure. There was no nice way to say it. Truth is, as unpleasant as it is, it's important because it's a first step to screen for rectal cancer. And, in men, the doctor also checks the prostate - a walnut-sized gland that helps with sperm. 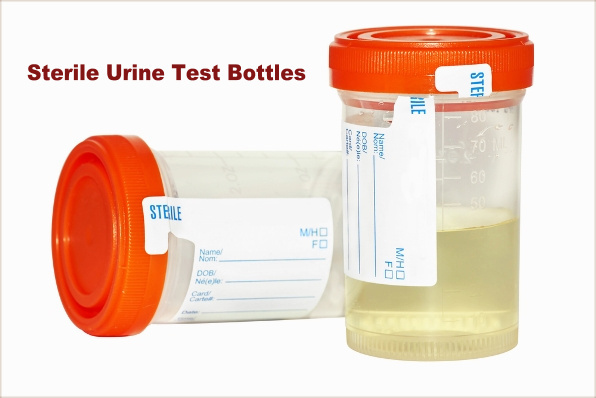 They test your urine to screen for things like urinary tract infections, sexually transmitted diseases, kidney stones or inflammation, diabetes, or a problem with your bladder. For women, it also shows if you're pregnant. Your doctor may ask for a sample during a routine exam, or she may ask for one if you feel pain when you pee or have blood in your urine.